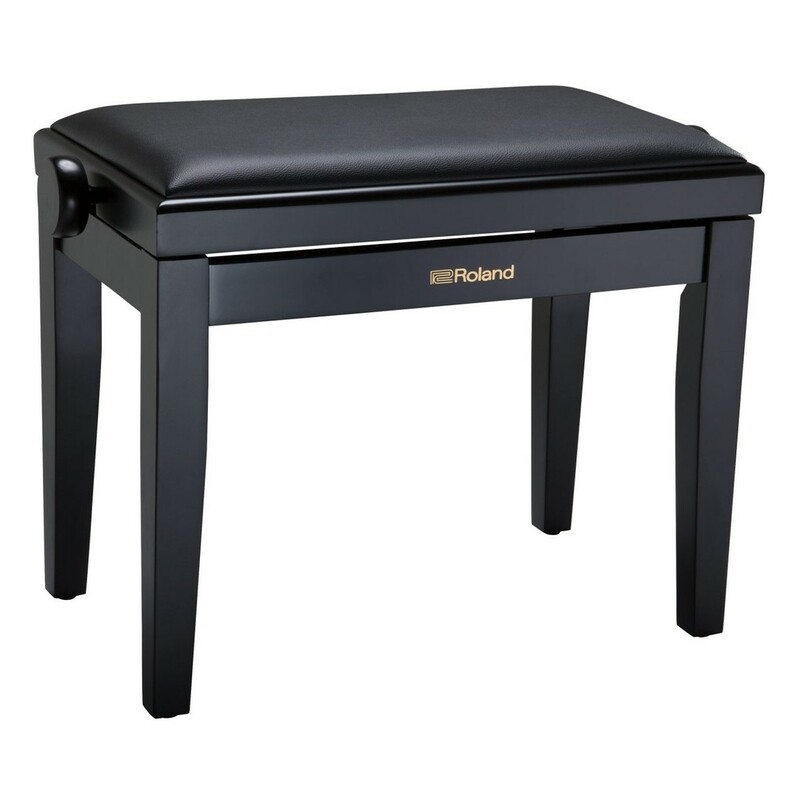 The Roland RPB-200 Adjustable Piano Bench is height adjustable by 10cm which allows use by players of all sizes The solid wood construction gives a sturdy, heavy duty build, whilst the rubber feet prevent slipping. This model's soft cushion padding keeps you comfortable when performing for extended periods. The RPB-200's vinyl seat cover is scratch-resistant and easy to clean.